March is Archangel Michael with the message, “You are safe.” There’s a lot more to this statement than meets the eye. Archangel Michael’s affirmation is, “Every day and in every way you are divinely guided and protected.” Trusting in divine guidance and protection is so completely freeing. How incredibly elevated will our choices and decisions be, based on that trust. Have a great month! My sense is that it will unfold in very personal and amazing ways for each of us. This is my Saturday at Ignite Yoga. To schedule, please email me at carolan903@gmail.com, or call or text 480-229-2315. The main theme for March is “SURRENDER” with subthemes of TRUTH and TRUST. SURRENDER is a word that tends to trigger a definition of failure as if we are surrendering to the enemy and as if we have failed in something we believed in and have been striving for. Our definition of SURRENDER for the month is a giving up, a release of a stance, position, or belief that we have stubbornly held onto for way beyond its useful and practical life. It is time to let go of what should have been, could have been and what ought to be in the future. It is time to SURRENDER our anger, our resistance, our judgement and our need to know. SURRENDER is an act of power that takes the reins away from the false personality and hands them over to essence. SURRENDER is letting go of the attachment to being “right” and the attachment to drama and suffering. SURRENDER is letting go of fear, giving up the need for control, and finally releasing emotional wounds, shame, guilt and resentments we have been carrying around for eons. Seeing the TRUTH is what will inspire us to finally give up our stubborn positions. It takes courage to surrender but once we see the truth of something that has been hidden, and we can face it with courage, surrender becomes the obvious choice. Surrender offers freedom. If you are feeling stuck in your life, there is probably something that needs to be surrendered. When you resist change, and many of us are probably resisting the changes we see happening around us, you block the flow of energy. Resistance is born of fear and is certainly an aspect of stubbornness. Resistance also takes a great deal of energy, like pushing against the tide. It will exhaust you to the point of collapse and despair if you don’t consciously give it up. Stubbornness is an aspect we will be dealing with this month. You may see the truth of something that involves another, but they may be too stubborn to go along with your insight. On the other hand, you may find yourself stubbornly resisting a truth that is uncovered and revealed by another. Watch for bad behavior this month as projections go rampant and Stubbornness gets channeled through all the other deadlies: Self Deprecation, Arrogance, Martyrdom, Impatience, Greed and Self Destruction. Take responsibility for your own baggage and remember to be compassionate during this time of truth telling and surrender. Resist the comments “I told you so” and “It’s your fault”. How do you know what to surrender? All you have to do is look at what is not working out for you and release whatever it is that is holding you in that pattern of struggle and despair. Find some humor in it, and better yet, make it into a game, a ritual or a discipline. Let’s talk about the TRUST subtheme this month. Once you surrender, you have stepped off the edge and into a space of TRUST. You have to have trust in order to successfully surrender. You have to trust that there is a bigger picture, that there is a greater order, that there is built in safety net, and that all will turn out just exactly as it should. We are in the year of the Fire Rooster. Action, aggression, movement and evolution are all part of the plan. But if you are unwilling and unable to surrender what you need to give up and purge, those energies will eat at you causing you to become angry, irritable, belligerent and self-destructive. We are on a very big wave. You can either catch the wave and get the ride of your life or get pummeled until you don’t know which way is up or down. All it takes is TRUTH, SURRENDER and TRUST. What is that hair ball of old energy you have been choking on? Why would you want to hold on to it? Cough it up. Give it up. The good news is that what needs to be surrendered on a personal level is very easy to identify because it is always something that does not feel good. It is always something that gives you grief, makes you angry irritable and brings about the worst in your behavior and attitude. Don’t you want to feel better? This is the best month to get over your fear, grab some courage, and finally surrender to what your essence and spirit really have in mind for you. In a way, it is now or never. There is great freedom in release and you have the opportunity for great freedom this month. Imagine how it would feel for you to be free from anything that did not feel good, joyful, loving and satisfying. The price you pay is that courage to surrender your comfort zone, show up differently, speak your truth and trust that the outcome will be better than anything you could have imagined. It’s truth time in relationships. Let’s start with your relationship with yourself. It is time to surrender any negative thoughts you have about yourself, any shame, any guilt and any patterns of low self-esteem. It is also a good month to take a look at your addictions and attachments and surrender them as well. And surrender the blame that you are the way you are because of what someone else said or did to you. There is always posturing and projection in any relationship usually stemming from the fear of intimacy, vulnerability, rejection, failure or success. We hide behind our uncertainty and are reluctant to tell the truth and lay things out on the table. We also have difficulty giving up our positions of control, being right, or being righteous. As truth is revealed, relationships may go through shake ups that are challenging but end up being reconfigured in a more positive way. Especially in family dynamics, family members that have absorbed more than their fair share of family secrets, peace keeping and sacrifice, may finally surrender that burden, causing some shifting in the family constellation. And as truth is revealed, the relationship you personally have to your outdated beliefs will be shifted as you put down and surrender your own burden of struggle and limitation. This is a big one because we never want to admit our attachment to what we get out of being unwell. It feeds the reasoning behind why we are not stepping into our lives, being seen, and why we are not taking responsibility for our own happiness. It gives us the excuse to be a victim and to be powerless. If we are not imprinted to receive healthy attention and energy by being healthy, we get it by being unwell. This month is a good one to uncover the truth about these patterns and to surrender the position of being “not whole”. The challenges to our well-being this month will mostly be on the emotional level as we struggle with ourselves to be OK with being absolutely 100% healthy. After all, there is no drama or story of intensity if there is nothing wrong with us. So it is a tough order to give it up. If you are to be successful in transitioning to better health this month you need to start with honor and gratitude for the physical body that you have. Say hello every day. Consciously surrender all your negative judgments and trust in your own perfect architecture. If you run a business and it is feeling stagnant, you may have to surrender to whatever truth you face about what needs to be done. Sometimes the attachment to an old intention or the way it could have happened or how something should have been done is what is standing in the way of movement. It will be challenging in business this month to navigate both the emotional conditions as well as the fire that want to inspire and spark movement. This is a dance of patience, trust and neutrality as things in business and around projects, finances and partnerships shift and sway like tides in the ocean. Stay away from anger and bad behavior and don’t take things personally. Be a leader even if you don’t have a staff of hundreds but only yourself and your work in the world to manage. It is a good month to uncover the weak spots in your projects and collaborations and to trust new people that are showing up in your life. The intentions you put into motion in February during the eclipse time are sorting themselves out with refinements as needed and magnetizing the support that will mobilize them into action. So pay attention to any piece of wisdom that you intuit is appropriate at this time. More cleaning and clearing is needed. Surrender your clutter and the energy that it holds. Trust that the weather knows what it is doing. See everything as a blessing. Any loss, any new addition, any change: see all of it as a blessing and be blessed by it. Surrender any disappointment you might feel on any given day about your personal environment or the greater environment. Trust that it is all good. The first part of the month is watery and a good time to work with the spirit of water as well as water itself. Bathing, cleansing, sauna, steam bath etc. is a good way to honor water and take advantage of the emotional surrender and cleansing that is possible. The later part of the month is fiery and dynamic and triggered to action. BE blessed by the action that shows up in your life instead of resisting how it might manifest. In weather look for some extremes in water/fire that could include temperatures, storms, heat, sun spots, flooding and drought. March 1-7: A watery time. Use it well for emotional surrender, clearing, cleansing, working with water and nourishing yourself emotionally. Music, beauty, pleasure, vulnerability, sensuality, love and serenity are all possible as long as you are in the right frame of mind and not in some battle with what you are reluctant to surrender. Slow down, take a breath, be present, be open and be kind. Allow the heart to open and the material that needs to be surrendered to surface, most of it overripe for the tossing. This time frame is also very communal and cooperative and speaks to lots of help and support. All you need to do is ask. The more you get with the program, the more you will open to love and a deeper connection with all. March 8-15: Watch resistance, stubbornness, disappointment, projections, people behaving badly and all the opportunities you have of acknowledging truth, taking action, giving in, giving something up and working on yourself. This can be an intense time where much can shift if it does not implode. Too much processing can create confusion and a feeling of being somehow disjointed. There is a need for grounding and working with the earth. Too much water can wash away your will and leave you apathetic and ambivalent. Work things out with others, catch up with important relationships, follow persistent threads and do some more clearing of your clutter both physically and energetically. March 16-23: We move into a bit more stability during this time frame and dry out from the post eclipse emotional surges. It is a good time to turn focus to the action steps that will be needed to support you now. As we near the time of the equinox, there is more energy to vitalize action and more clarity to understand your truth. Commitments and decisions may be called for which will require trust. You may need to surrender those decisions to spirit and trust that it will all work out. March 20: Spring Equinox is Monday, March 20 at 4:28 AM Mountain Daylight Time (MDT). Enter the fiery time of action, movement, and fruition. Use fire in a ceremony or ritual to surrender something that still needs to be unloaded. It can be symbolic as in burning a written narrative about what you are surrendering. Spring is renewal, taking the nourishment from the winter cycle and the freedom from surrender and weaving it into a new picture, a new expression and a new signature. Celebrate this newness, this rebirth in some way by doing something that represents an expansion and an upgrade. March 24-31: This is a time of action. What have you always wanted to do that you have been afraid to do? What have you always wanted to share that you have been afraid of sharing? What have you always wanted to express that you have been afraid of expressing? Now is the time for courage. Surrender you fear and inhibitions and harness that fire rooster for your own medicine. Be seen, be heard, be acknowledged. Reciprocate this exchange by responding to others with honor, encouragement and compliment. Your container is bigger and you have to trust that it is being filled with the right intentions and experiences. Do some work during this time to fill it also with love, light and awe. March 27: New Moon is Monday, March 27 at 8:58 PM Mountain Daylight Time (MDT). Watch for misguided aggression and fiery overreactions. Be the neutral observer instead of getting into the fray. This is a good day to put some boundaries around your newly birthed self and spend some time by yourself and way from reactivity and judgment. Use the fiery potent energy to vitalize your own intentions and fill up the spaces that are now free as a result of what you have surrendered. Work with the sun and be out on nature. PLEASE NOTE: The Monthly Support Audio for March 2017 will be available on the morning of March 2nd. The Monthly support Mp3 has many useful exercises and guided visualizations and can be listened to and worked with more than once and even once a day if desired. It offers useful processes to help you with understanding and making the most of the energies of the month. This will be available March 2nd. You may make copies of this writing and distribute it in any media you wish so long as you do not charge for it or alter it in any way. You must credit the author and include this entire copyright notice. While the text may be shared, no audio files including lectures, music and/or sound meditations may be posted on any site for any reason without written permission from the Power Path. Stephen Revering, Pranic Healing and Zen Meditation Specialist . . . Natascha Marler, LMT, E-RYT, CNSF . . . Virgie Ponce, BSN, Registered Nurse, Aromatherapist . . . Jamie Rudolph, Esthetician, LE, CLT . . . Jennifer Elton, NMD . 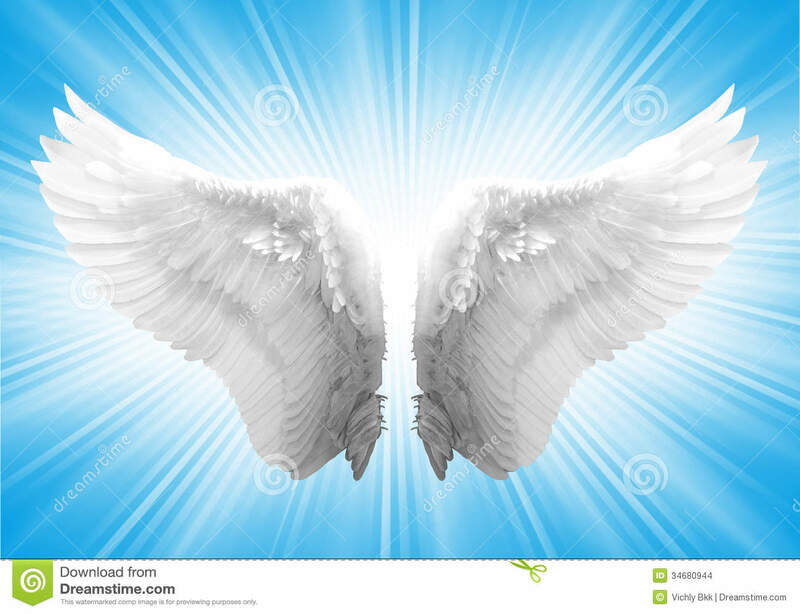 . . Carolan Dickinson, Psychic Medium, Angel Intuitive, Reiki Master Teacher, Author. Susan Luth Leahey, Transition Coach. For more information, or to learn how to schedule please visit Ignite Yoga’s website at http://www.igniteyogastudios.com/apothecarybar.html or call the studio at (623) 374-7812.